Advertising is one of the oldest and most lucrative ways to monetize your websites, WordPress does not have a way to handle it by default so you will need to use an Advertising plugin to manage the ads on your site. These days there are lots of different forms of advertising you can use, such as Adsense, Display Banners, Overlays, In-Post Adverts, Sidebar Ads, Background banners, text links and even more creative ways. With the advent of ad blockers and people becoming blind to traditional banner ads, it makes sense to take a look at more creative options. 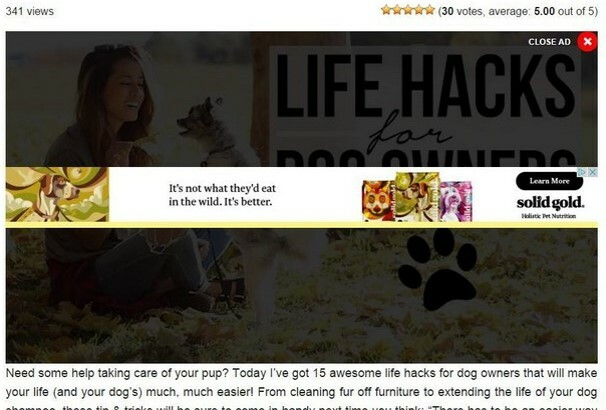 Choose ways to make money from ads that are not obnoxious and in the visitors face, ads that do well compliment your content and are less likely to be ignored. Also, be careful when using ads for mobile visitors – Google recently announced a clamp down on intrusive mobile advertising which obscures content. We recommend that you select a plugin to manage your advertising so we have put together this collection of what we think is the most comprehensive list of ad plugins available. We start off with paid plugins, these will typically include more features and include customer support should you need any help setting up the plugin. We have also picked a selection of free advertising plugins which you can download and start using right away – these are all from the official directory so you can be sure they have been checked for code quality and functionality. Take a look below at the best WordPress Advertising Plugins for 2017! This plugin is perfect for creating profitable websites that come with 30+ modules. You can also create affiliate website and products review websites by using this plugin. It is fully compatible with Woocommerce and support for product synchronization. This plugin helps you to turn a website into a moneymaking machine. 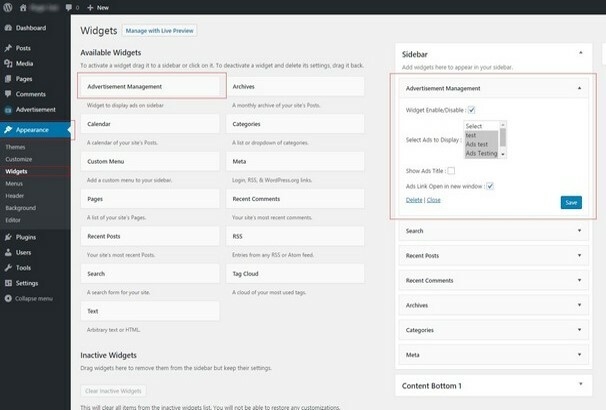 By using this plugin, you can easily add, update, delete banners directly from your WordPress website. This is a super easy plugin and no need to know coding to use this. You’re also allowed to add extra images, shapes, and text to the banners and update those banners as your needs. This plugin allows you to add advertising to the top right corner of your WordPress website. This plugin comes with with the awesome Jquery effect and supports unlimited corner peels. This corner peel is 100% responsive and visible on all mobile devices. WP ad-Monetizer plugins allow you to monitor different ads in ad-blocks with impressions and click counts. You can easily show ads in selected countries and show ads in selected category pages. It also supports to show an ad-block in a slider and can show AD method with random or tag based setting of an ad-block. With this plugin, you can easily monetize your YouTube videos, and make money with very little efforts. You’re allowed to display different types of ads on your videos and can create mouse hover effects and banners on videos. You can generate shortcode to display videos on your website. This is an exclusive WordPress plugin that helps you to create a single ad section in any WordPress page. There are lots of features are included with this plugin such as – PayPal payment integration, online statistics with Facebook, live preview on pre-order. This plugin is very easy to customize and can be translated in each language. Azamon discount finder is an affiliate advertising plugin that helps your customers to find super deals and you will earn commissions just like magic. This plugin comes with 5 different types of banners and has custom effects, statistics and design options. 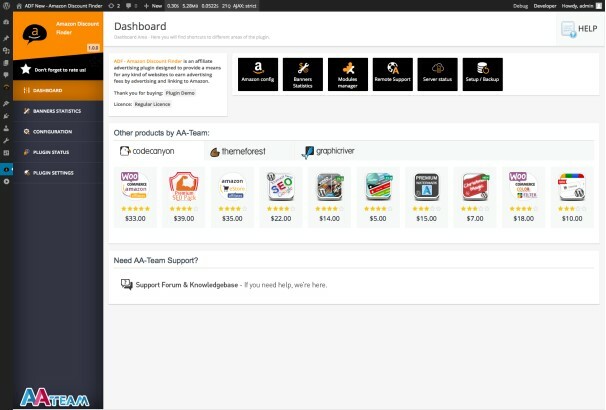 With this plugin, you can import Amazon products into your site and earn commissions from Amazon. 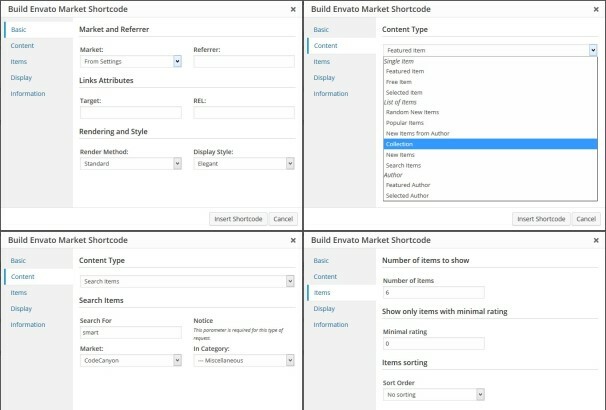 Smart Market shortcode plugin allows you to embed items and authors information from Evanto market place. 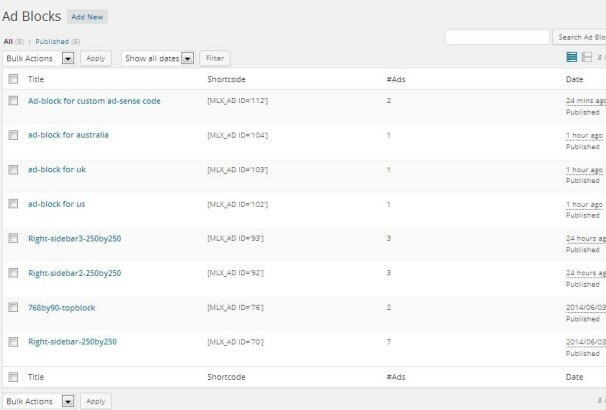 You can add that information to your WordPress site by using shortcodes. This plugin is very simple and easy to use. This plugin can cache data from Evanto API and add items to your website. This plugin comes with 12 item rendering methods and has 3 predefined styles. 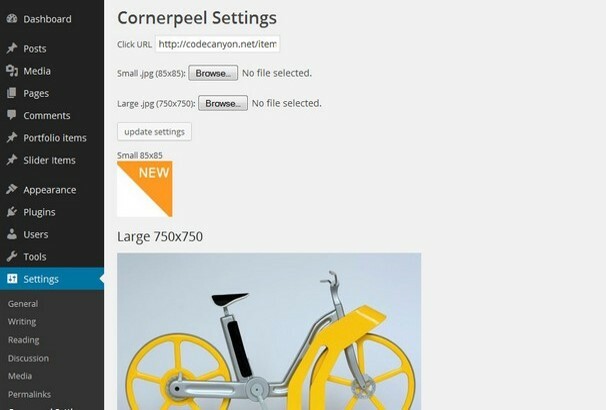 Themerex banner manager WordPress plugin enables you to create and manage banners. With this plugin, you can easily create and manage banners, easily set size parameters, use widget to display banners, group banners by location or topics and advertise and etc. 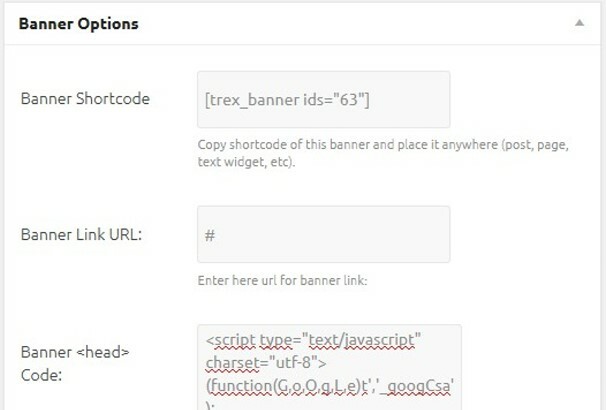 Themerex banner manager WordPress plugin enables you to create and manage banners. 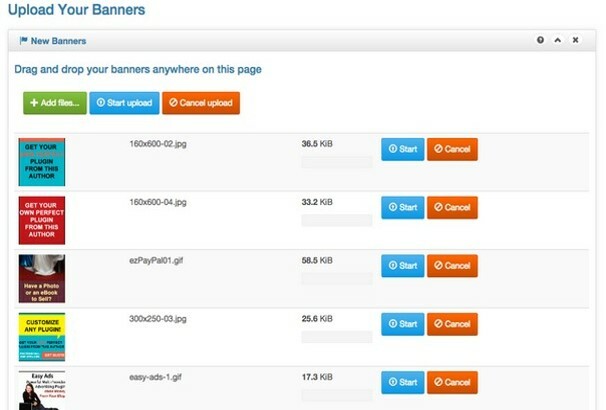 With this plugin, you can easily create and manage banners, easily set size parameters, use widget to display banners, group banners by location or topics and advertise and etc. This plugin is translation ready and fully compatible with Google Adsense. Advanced floating content plugin is a powerful marking tool which is very easy use and has an easy interface. 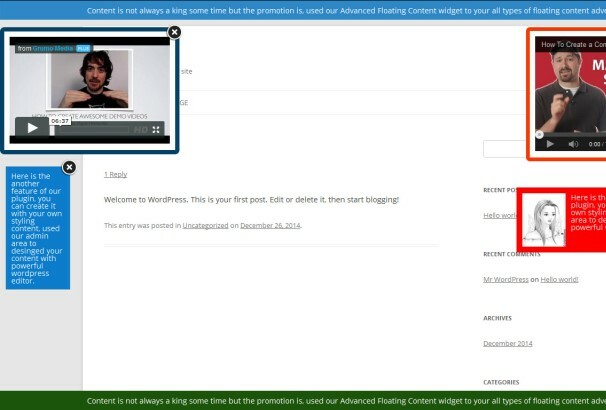 With this plugin, you can easily float contents on your WordPress site. 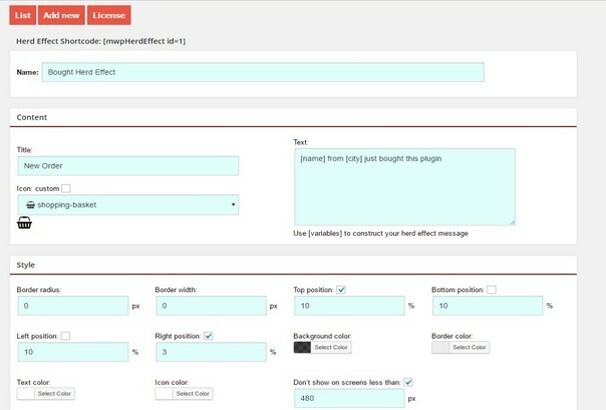 This plugin comes with lots of pre-built features such as – theme builder to create stylish floating content, unlimited themes and layouts can be created for floating contents, hide floating content on certain width, video embedding, social media sharing, easy customization and much more. 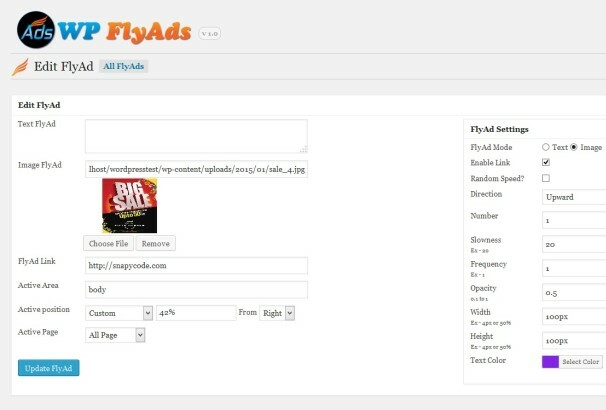 Wp Flyads is an ultimate flying advertisement plugin that supports text and image advertisement. This plugin comes with lots of options such as position control, page selection option, opacity control option, direction control and etc. You’re also allowed to add custom links and can adjust the height and width. 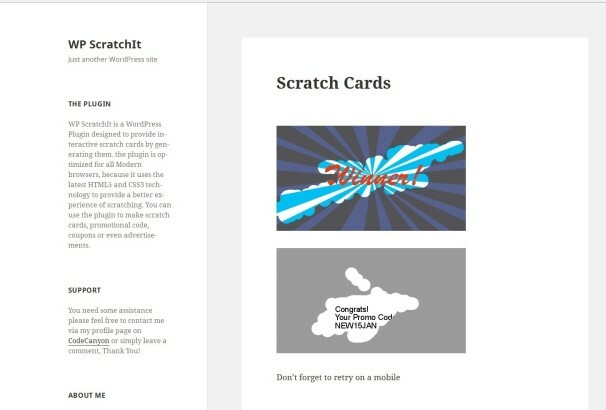 This plugin enables the user to generate interactive scratch cards. This is a 100 % responsive plugin and works perfectly on every modern web browser. This plugin allows you to create scratch cards, coupon codes, and promotional codes. It can generate background from a text and allows you to upload multiple backgrounds from multiple values. This plugin comes with an easy interface that allows users to check out and buy ads on your blog. It does not require heavy configuration and easy to setup and manage. It supports all Adpress gateways and visitors can check out from the front-end. CornAds is a multi purpose advertising plugin that enables you to create an automatic advertisement process. This plugin comes with lots of amazing features such as – unlimited zone for showing banners, fully manageable zones, shortcode supports, payment gateway integration, email and SMS notification, powerful admin panel and much more. This is a powerful and multi purpose advertising plugin that enables you to create, manage, sell and display advertising space on your site. This plugin is 100% free from Ad blocker and can display your advertisement banners including Adsense banners in more than 20 ways. It has 25+ ready to use Ad templates, 3 billing models, 4 payment methods. 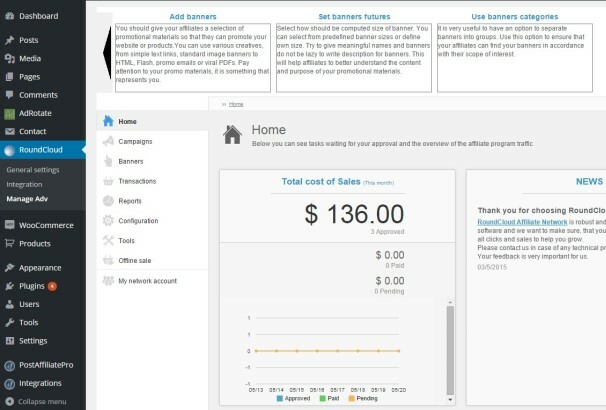 This plugin comes with a powerful admin panel and has an online statistics for all types of ads. This is another simple but powerful Ad-monetizer plugin that gives an option for Ad-banners in different Ad-group and Ad-block. 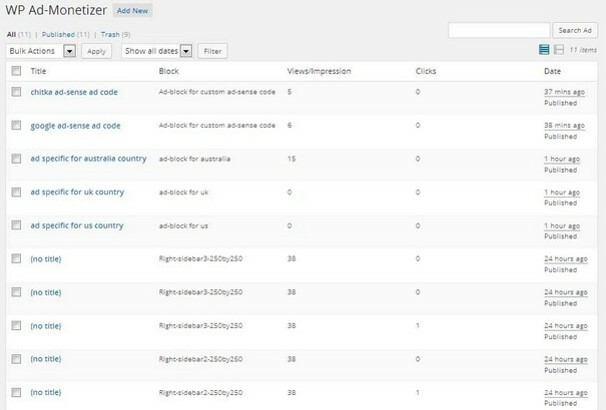 You can easily monitor all ads in the Ad-blocks with impressions and click counts. By using this plugin, you can show ads in selected countries, show ads in selected category pages, show ads in selected posts and much more. Wp-Adpunch plugins provide an awesome notification bar for your site. It allows you to create unlimited ad campaigns and helps you to increase sales and email subscription list. This plugin is 100% responsive design and has powerful admin options. Ads Ez is a powerful plugin that serves banners and HTML ads to multiple sites. 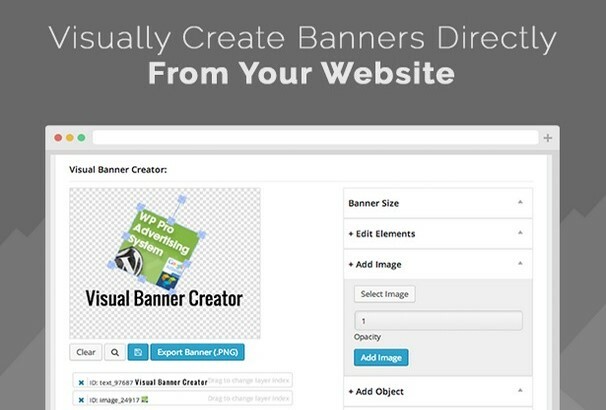 You can centralize your banner ads anywhere on the website and use the shortcode to show the banners. This perfect ad server plugin for multi websites that allow you to set up an optimized ad server that can service your websites. This is a simple but powerful advertisement plugin that provides a flexible logic to manage advertisement. 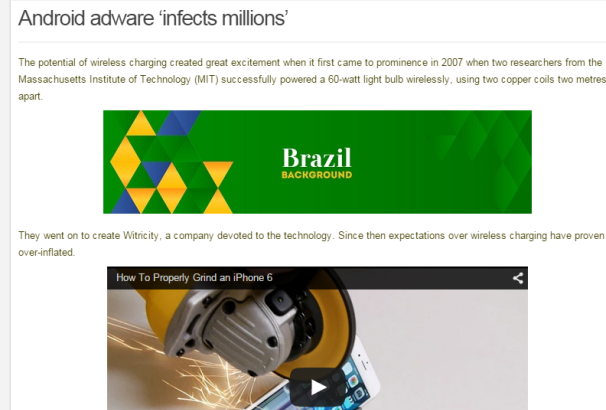 This plugin can display advertisement in different ways. 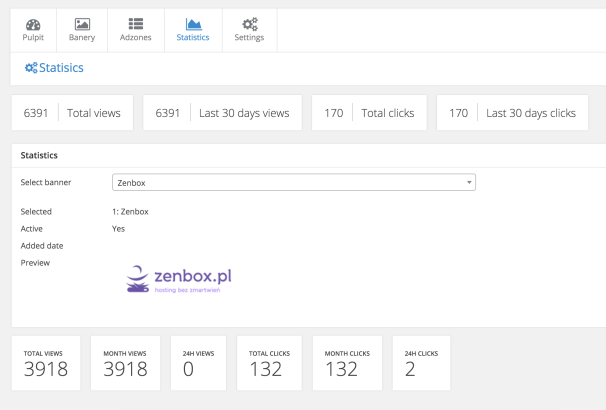 You can set the advertisement schedule and limit by impressions or clicks. It supports all types of ads – image, flash, JS, PHP, etc. With this plugin, you can show ads on almost everything of your site including embedded videos, images, text, and content. It helps to increase your conversion rates on potential sales and income. This is a landing page generator plugin that helps you to create amazing keyword based landing page in minutes. 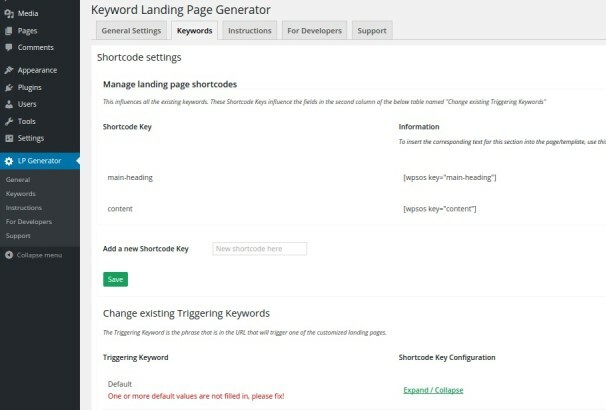 With this plugin, you can easily create a landing page and choose a different keyword to trigger it. You can also define the text for each trigger. This plugin is very to install and manage. Adziner is a powerful advertising plugin for WordPress. This plugin is 100% responsive and supports Google Adsense and custom HTML code. This plugin comes with lots of features such as Adzones creation, Banners, Adblock detector, all types of images support and shortcodes. 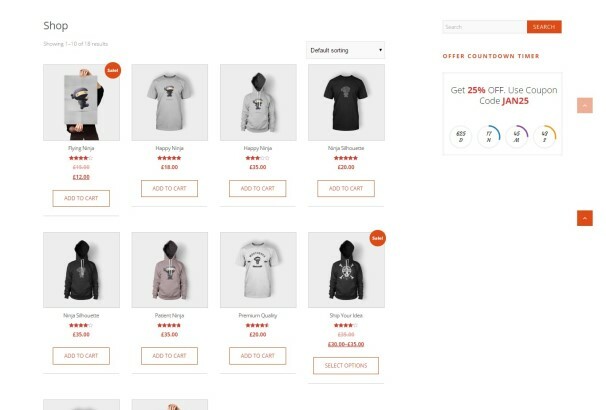 With this plugin, you can create and set countdown time for offers which are very useful for a WooCommerce site. This plugin allows you to set the offer countdown for each page, offer countdown timer as a widget, customizable CSS option and short code generation for the countdown timer offers. So create your own countdown timer for offers with the highly advanced offer with this plugin. 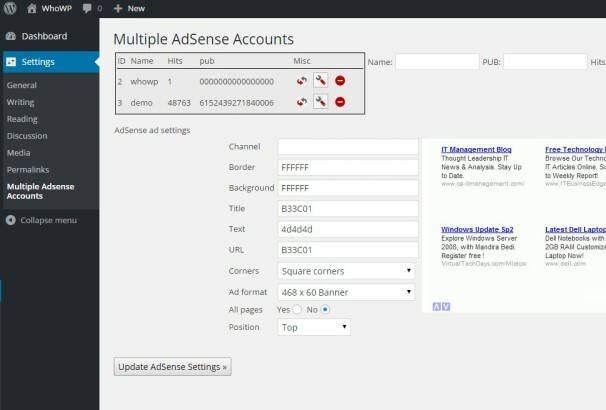 This plugin allows you to add multiple Adsense accounts on a WordPress site. You can preview the ad live from admin area. This plugin enables you to share web site’s revenue with your friends, authors or workers. This is another powerful affiliate plugin for WordPress that enables you to insert Amazon links, images, reviews, buttons and even similar products directly from WordPress dashboard into your website. You can easily monetize your WordPress posts with this plugin. 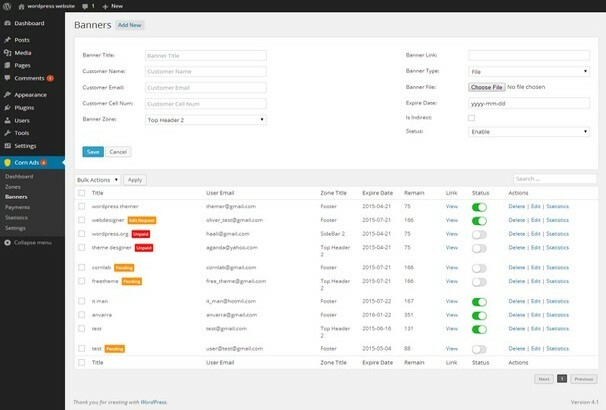 This plugin is very easy to use and comes with a powerful admin panel. 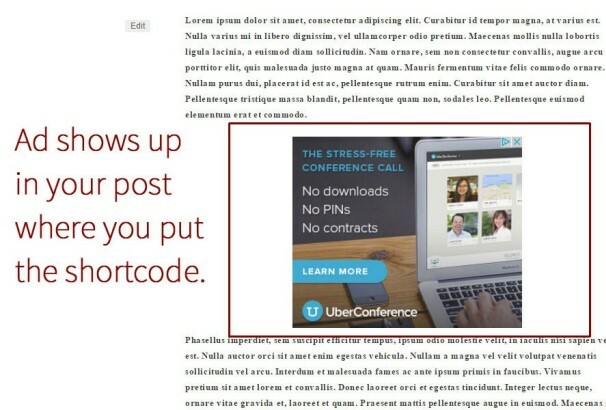 In post ads WordPress plugin gives you the ability to insert ads into your blog post. You can make the whole process just adding a shortcode into the post. 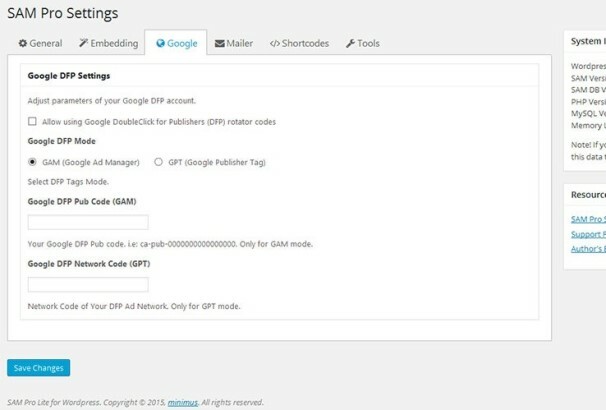 You can insert the code anywhere of your blog post. It supports Google Adsense and similar adverting platforms. 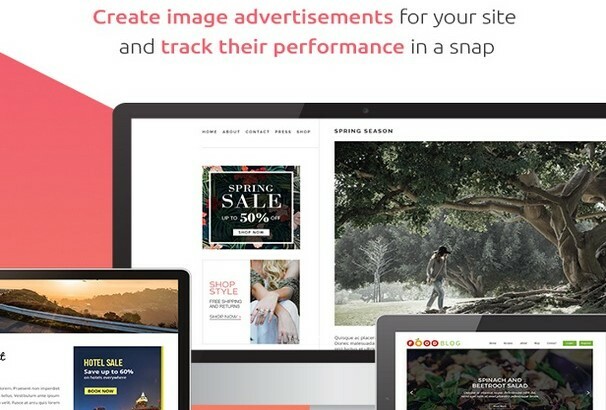 Snap Ads WordPress plugin helps you to create image advertisements for your site and track their performance in a snap. It comes with beautiful graphs, charts and with an easy interface. 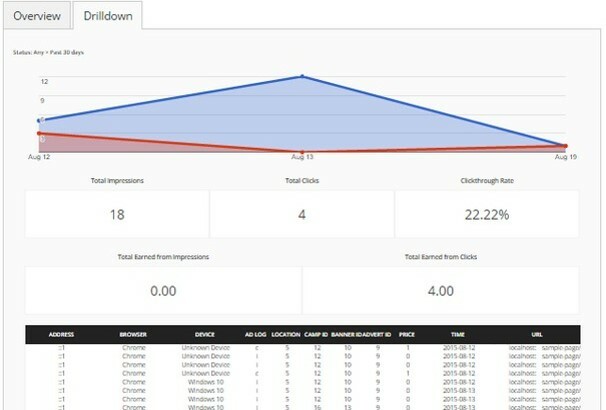 You can see detailed ad performance statics in the admin area. Promo Cards is a powerful WordPress plugin which used to promote partners programs. Create your own collection of cards and start promoting products sold by you and your partners with this plugin. It has 8 different types of banner blocks and lots of amazing features. Aprag WordPress plugin helps you to boost your income by smart controlling options. 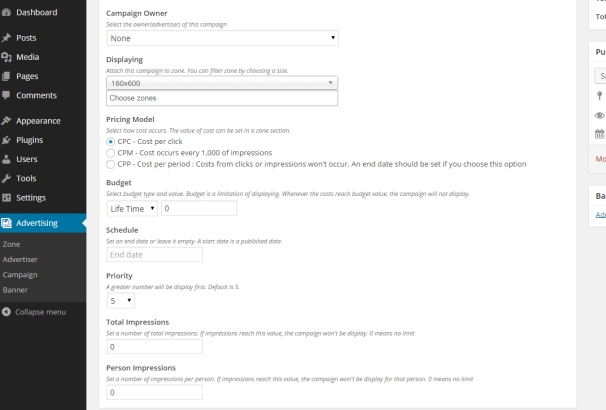 It has 3 types of campaigns and 5 ad types and full stats with a graph. It is 43 pop up and 34 embed animations and comes with a bunch of options. 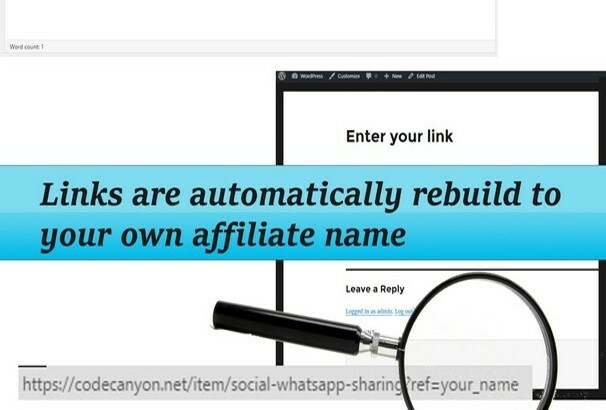 This premium WordPress plugin allows you to mask your affiliate links. With this plugin, you can shorten any internal or external links which are very useful for masking your affiliate links. You will get full click statistics and track events in Google Analytics. 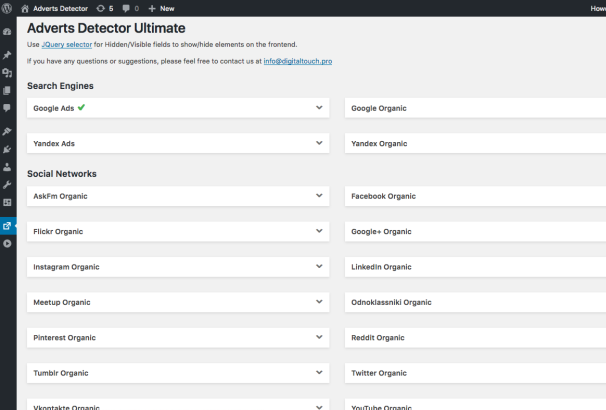 It also allows you to use widgets and shortcodes for affiliate links. 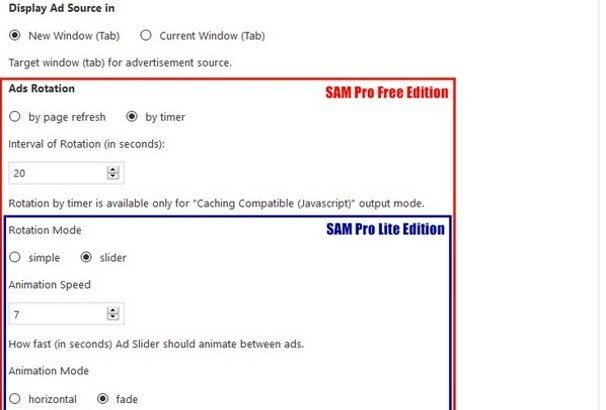 This is a powerful add-on for the SAM Pro that enables you the possibility of rotating ads as a slider. You can set the rotating ads times by timer and can display ads in a slider. This plugin is 100% responsive and perfectly works on all browsers and devices. 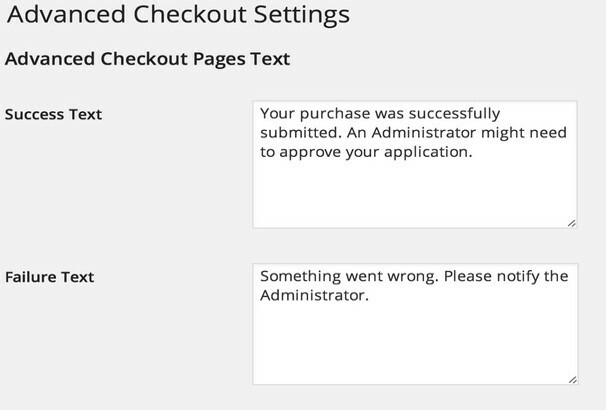 Show fictitious notifications on your website to stimulate users to take action. 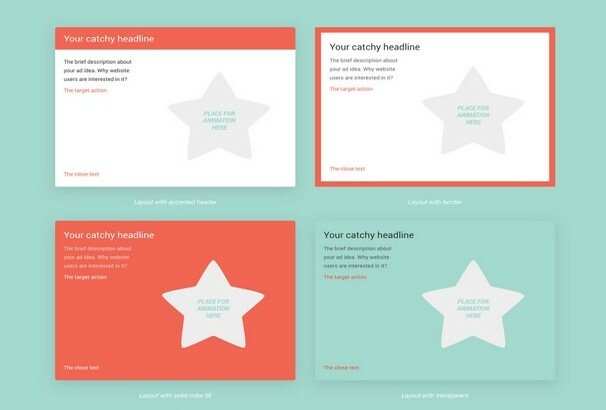 This plugin will generate and show non-stop notifications based on your template. 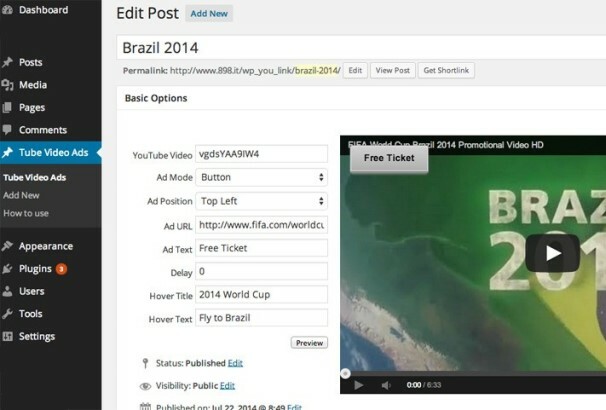 You can use this plugin to show realistic information, show ads, convey useful information. 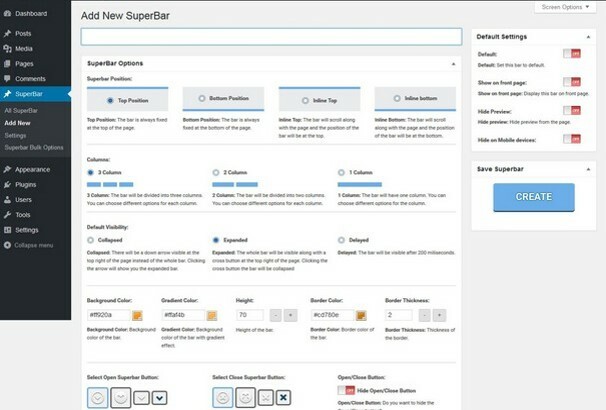 Super bar is a simple WordPress notification bar plugin that enables you to convert more visitors into customers. You can set your priority always top of your website. This plugin comes with 100% responsive design and looks great on all modern browsers. Envanto affiliate builder plugin can convert all Envator URLS in your WordPress posts and more to affiliate URLS. It works will all marketplaces and more than just team pages. 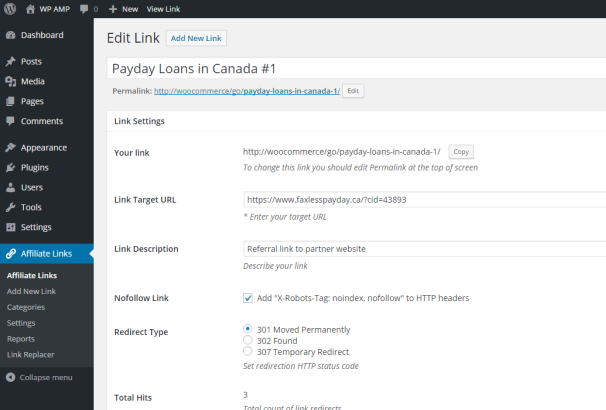 It will also replace other referral links with your own. This process is fully automated and no coding required to start. Dynamic keyword insertion WordPress plugin grabs the Google AdWords keywords used to trigger your ad and insert the keyword into your WordPress landing page. You can add a tracking parameter onto your paid ad’s destination URL and insert the shortcode where you want the dynamic keyword to appear on your landing page. This plugin comes with lots of ads posting features and fully responsive design with bootstrap. It allows you to add the ads posting functionality to your WordPress site. It has registration and login functionality and fully integrated with google maps. Adverts detector WordPress plugin provides you the option to show or hide content on your site depending on the search engine. It can detect Google ads, Google search, Yandex ads and Yandex search and social networks organic such as Facebook, AskFm, Google+, Instagram, Linkedin, Youtube, etc. This plugin helps you to attract new subscriber to your Youtube, Facebook, Vimeo profile. It has 3 widget layouts, 50 animated illustrations and 20 ready to use templates which help you to get visitors attention. With this plugin, you can also publish any important notices, messages for your website users. This plugin is specially designed for publishers who want to display text, image or video advertisement. This plugin comes with tons of options to control your advertising system. 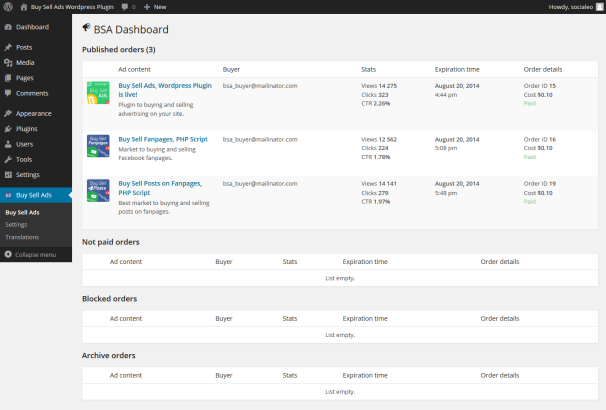 This plugin is fully integrated with Paypal and support shortcode to display ads. 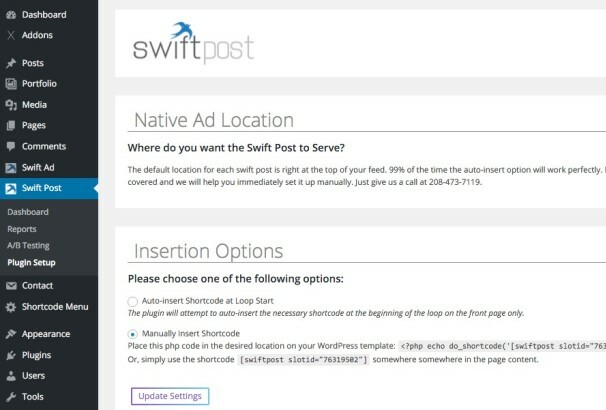 Swift post is a powerful ad server plugin that comes with lots of features. 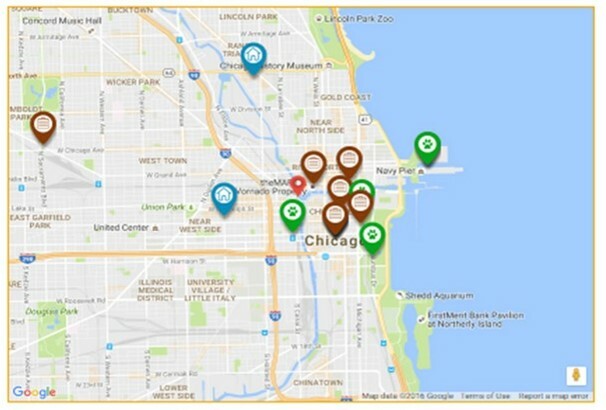 This plugin makes it possible to run regionally targeted campaigns and deliver relevant sponsored content. This plugin enables you to serve sponsored content with an easy way. With this plugin, you can easily sell contextual ads from your page. This process is fully automatic and allows to receive money with Paypal. You can set up available and forbidden pages for advertising and the price for your ads. 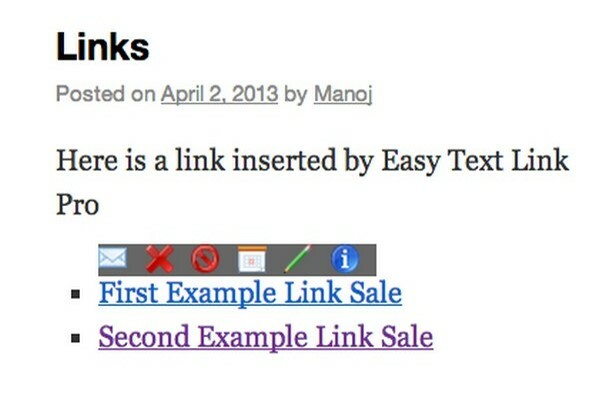 This plugin enables you to sell text links on your blog, This plugin automates the insertion and expiration of each link and provides quick reminder emails to the advertiser. It comes with an attractive and modern interface with amazing lightbox effect. 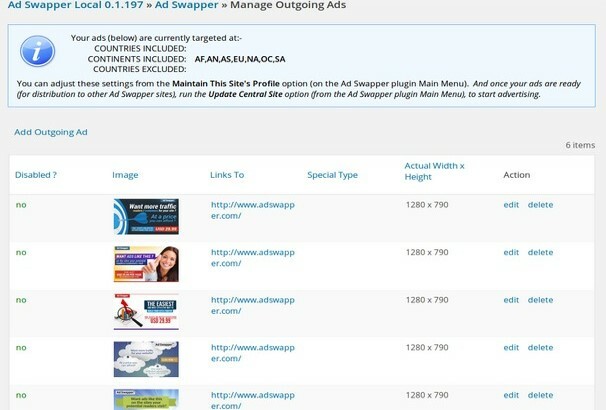 Ad swapping is another powerful WordPress plugin which helps you to create ads for your site. You are allowed to create an Image, Gif, Png to display the ads. This plugin is very helpful for SEO purpose and it creates two links back to your site that will be great to improve your site’s google page rank. Ads mania helps you to display your advertisements in the post content, so users still reading and your ads still have customers. 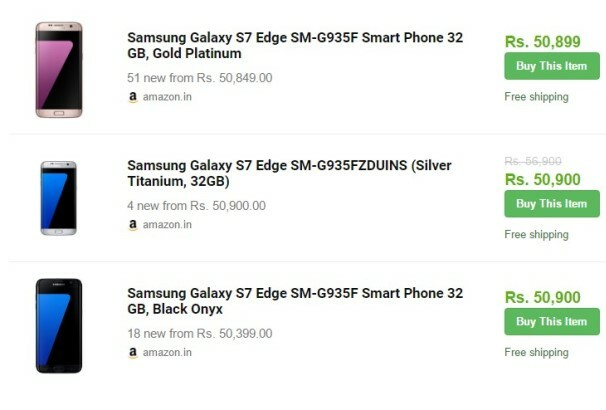 You can display your ads on a full page which forces users to watch the ads before completeness browsing of the site. RoundCloud is a simple but powerful WordPress plugin comes with lots of features which are useful for affiliate marketing. It offers convenient tools to promote your sites and new achievements in the CPA marketing. You have also the ability to create and adjust commission referrals and view full statistics. With this plugin, you can easily manage Adclick advertising formats. 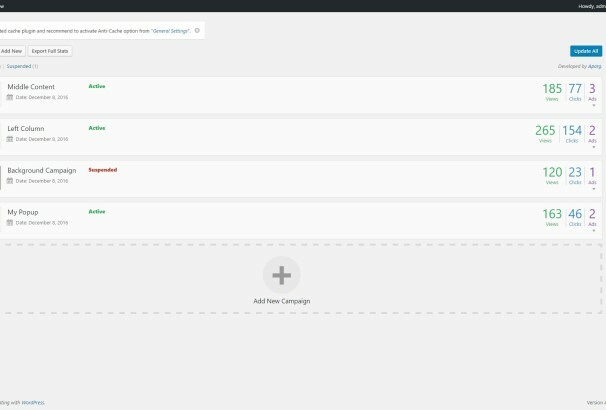 You can create and manage all campaigns directly within your WordPress dashboard. 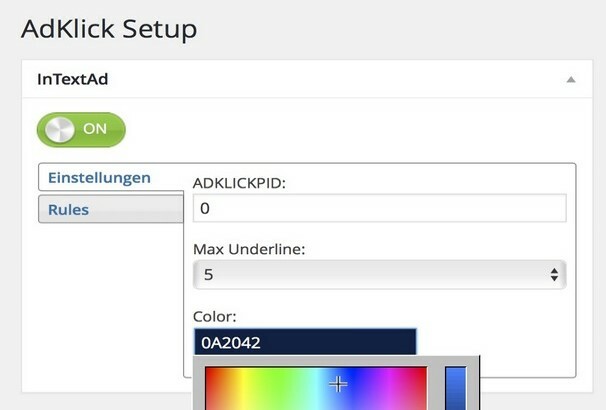 You are allowed to adjust the color or each campaign as your needs. This plugin allows the blog admin to create a revenue sharing process. It supports for Google Adsense, Amazon, Allposters and etc. It is a super easy plugin to install and manage. 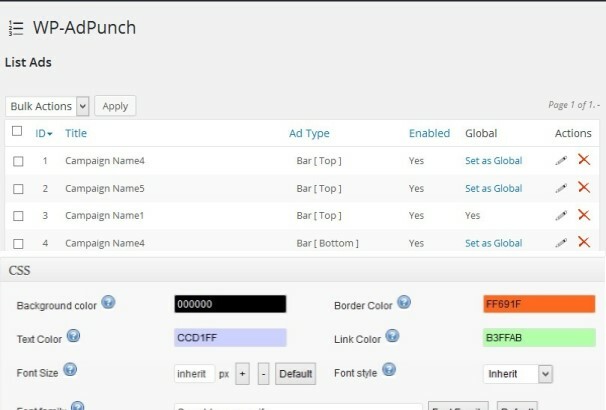 The advertising panel allows the admins change or delete the information about the user which is stored in the database. Advanced advertising system allows your customers to promote their products on your website. 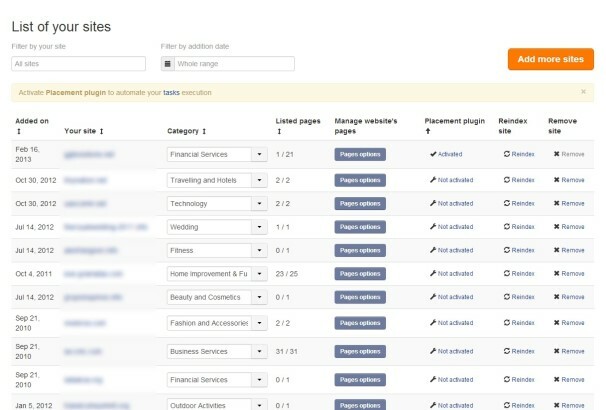 This plugin helps you to manage the advertisers and control all campaign. 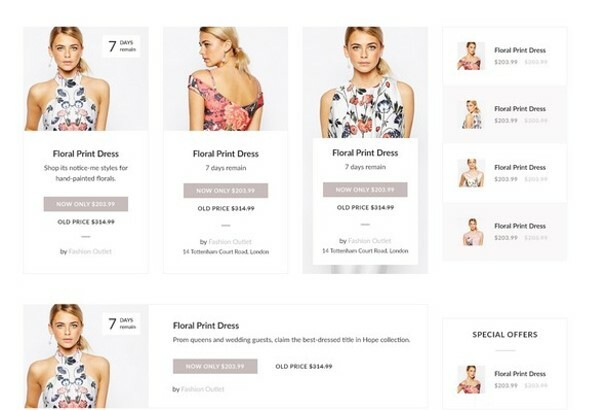 You can easily set the pricing models for CPM, CPC, CPP and create zones to display on the front-end. Podamibe is a powerful ad management system that helps you to display your advertisement on a WordPress website. You can easily show your ads in bulk and individually. 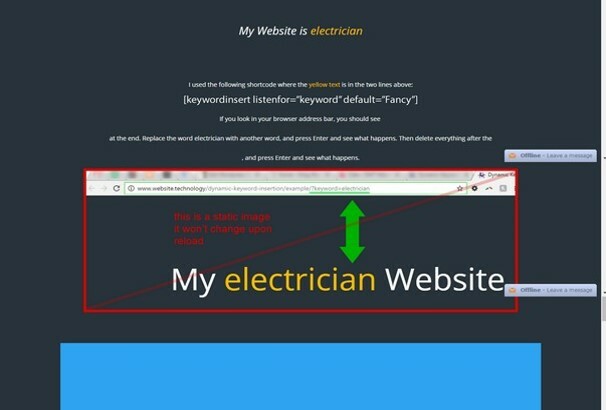 It allows you to add your advertisement anywhere on your site. This plugin is highly customizable, easy to use and 100% responded that works great on all browsers.